Grants to improve health and well-being, tackle poverty and raise awareness of poverty and ill health in London. Small Capital Grants fund small projects aiming to improve existing amenities or build new facilities. 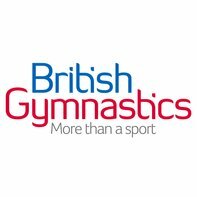 Financial support for British Gymnastics members. The Major Capital Projects Grants Programme funds large projects of renovation, modernisation or creation of significant facilities. The Fund awards grants to projects working in the area of learning disabilities. Community Champions is a match funding programme awarding small grants to local UK groups and charities. The Disability Sport and Play Grants fund sporting opportunities for young people from disadvantaged backgrounds and those with disabilities. The Trust supports disadvantaged young people and families in need. Support for children and young people in the areas of education, health, recreation and performing arts. The Charity funds recreational holidays for children.